SPRINGFIELD – Due to the ongoing budget impasse, Lutheran Social Services of Illinois (LSSI), the largest social services provider in Illinois, announced last week it will eliminate nearly 30 programs and lay off 750 workers. The program cuts will affect 4,700 low-income seniors, children and disabled veterans from all areas of the state. In Des Plaines, LSSI is eliminating mental health counseling for children and families. 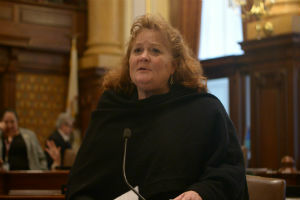 State Senator Laura Murphy (D-Des Plaines), served as the former director of business services for the Alcoholism and Drug Dependence Program of LSSI for five years in the late eighties and is committed to finding a bipartisan solution to fund these programs. Next week, Governor Rauner does have an opportunity to present a new path forward during his second State of the State Address. “The governor has a chance to start fresh next week and present a plan to the General Assembly to protect low-income seniors, children and those with mental illnesses. It’s time to pass a budget to stop the damage being inflicted on Illinois,” Murphy said. 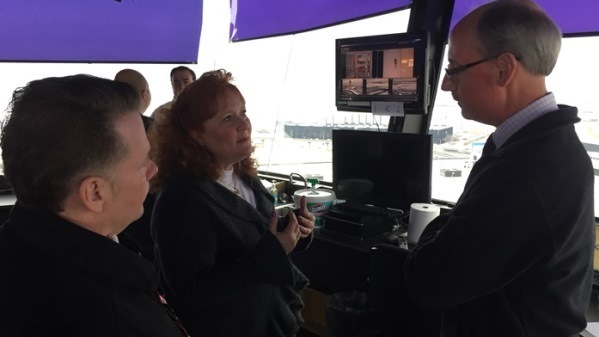 SPRINGFIELD – State Senator Laura Murphy (D-Des Plaines) toured O’Hare Airport to gather additional information about steps that could be taken to solve the noise pollution that has been troubling communities surrounding the airport. Murphy said the meeting was productive and she gained valuable information about the airport and committed to working with the Federal Aviation Administration and city of Chicago to work toward solutions. “This was the first step in finding relief for the families near the airport. I look forward to working with the FAA and the City to finally find a solution to the noise that has been disrupting everyday life for the residents in our communities,” Murphy said. Area residents are encouraged to call Sen. Murphy’s newly created O’Hare Noise Complaint Hotline at (224) 585-9153 or click here to file a complaint. 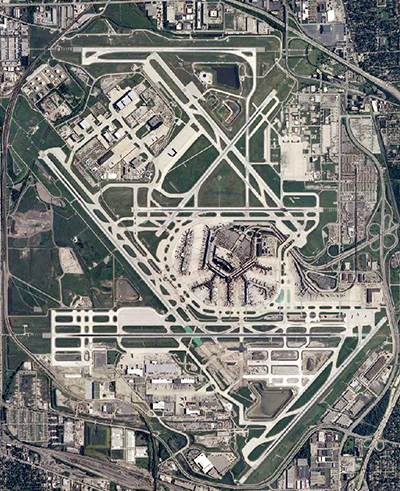 Des Plaines – State Senator Laura Murphy (D-Des Plaines) announced today that in response to speaking with the residents of her district and listening to their complaints she will meet with Chicago Departmental of Aviation officials regarding airplane noise abatement and tour O’Hare International Airport. “As a Des Plaines resident, I know firsthand that noise pollution from the O’Hare Airport disrupts daily life for many families in our area. I look forward to my discussions with the City of Chicago, and am committed to working with the City, the Federal Aviation Administration (FAA) and the airlines to provide relief to those citizens impacted by noise pollution,” Murphy said. While talking with constituents, Murphy also discovered that an issue existed with filing noise complaints. Therefore, to aid in the collection of accurate and timely noise complaints, Murphy has launched her 28th District O’Hare Noise Complaint Hotline and Complaint Form. The hotline can be reached at (224) 585-9153, while the complaint form is available to the public at www.SenatorLauraMurphy.com. “I strongly encourage all residents impacted by noise pollution to contact the hotline and complaint form. The best way to affect change is to present the City of Chicago, FAA and airlines with accurate, detailed records demonstrating the number of noise pollution complaints,” said Murphy. Data collected through the hotline and complaint form will be presented at future meetings with City and FAA officials. 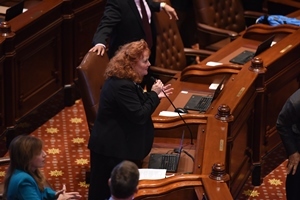 SPRINGFIELD- State Sen. Laura Murphy (D-Des Plaines) issued the statement below following a bipartisan vote in the Illinois House to release nearly $3.1 billion in critical funds that have been held up due to the ongoing state budget impasse. “It is past time to release these funds to local communities to prevent the impending layoffs and property tax increases many were being forced to consider. It is unacceptable and immoral that so-called Illinois leaders have taken this long to approve funding that taxpayers have already paid. “I am encouraged that finally, after months of waiting, the budget is beginning to take shape. While I look forward to supporting this proposal next week to give Illinois communities the stability they desperately need, this is only the first step. We must continue to work together in a bipartisan fashion to protect funding for MAP grants for college students and other services essential to Illinois families,” Murphy said. The Illinois Senate is scheduled to convene Monday, Dec. 7 for a planned vote on the authorization.